The author has a unique insider's view of the global justice process. In this book, he gives an account of the origins, development and crucial importance of international law, covering human rights, war, torture and the environment. It analyses various threats to the global just... read full description below. International lawyer Philippe Sands has a unique insider's view of the global justice process. Lawless World is his acclaimed account of the origins, development and crucial importance of international law, covering human rights, war, torture and the environment. Revealing how US and UK governments have undermined the key agreements that they helped to put in place, his book has helped change the political agenda. 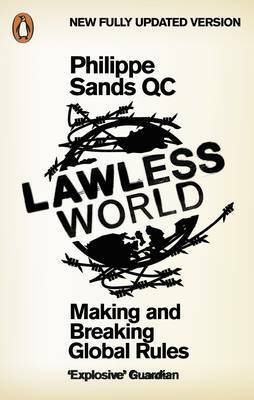 Now, in this fully revised and updated edition, Sands analyses the most recent threats to the global justice system, including the war on Libya. In a new chapter on remaking the world legal order, he analyses the challenges that lie ahead in the future, and powerfully makes the case for preserving global rules. Philippe Sands QC is Professor of Law at UCL and the author of several books on international law. He is a practising barrister at the Matrix Chambers and has been involved in leading cases before English and international courts.